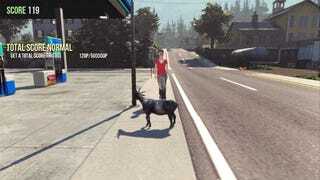 Here&#39;s Goat Simulator and some next-level ragdoll physics. Here's Goat Simulator and some next-level ragdoll physics. The demonic Goat of Death is a lethal threat even when it's standing still.